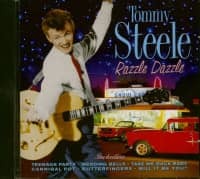 Tommy Steele, born Thomas Hicks in Bermondsey, London, on Dec. 17, 1936, was Britain's first rock'n'roll star. 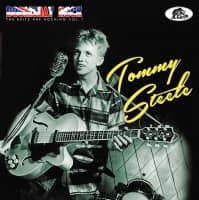 Discovered singing Hank Williams material and calypsos — learnt while working on a cruiser based in New York — he became a teenage idol almost literally overnight. His first record, 'Rock With The Caveman', was made just two days after his recording test in September, 1956. Within a month it was a British Top Ten hit. 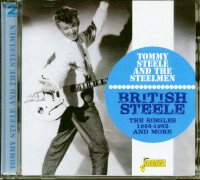 Steele's first tour began in November, 1956, and introduced the amplifier to the British stage. With Lionel Bart and Mike Pratt, Steele wrote some of his British hits of the Fifties, including 'Rock With The Caveman' and 'A Handful Of Songs' and he had further hits with cover versions of American records, 'Singing The Blues' (Guy Mitchell), 1957, and 'Tallahassee Lassie' (Freddie Can-non), 1959. The latter showed Steele in unfamiliar guise as a tough, heavy rocker. Heavy rocker he was not, however, and it was inevitable that Steele would leave rock'n'roll. His personality was that of the archetypal cheery Cockney, and clearly stemmed more from the vaudeville tradition than from an imported rock'n'roll milieu. By the beginning of the Sixties, Steele had begun to suc-ceed in All-Round Entertainment, at which he has since triumphed. 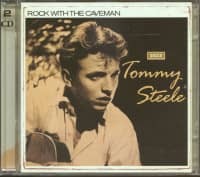 Steele's importance to British rock'n'roll simply derives from his having been there first, rather than from any subsequent creative contribution. 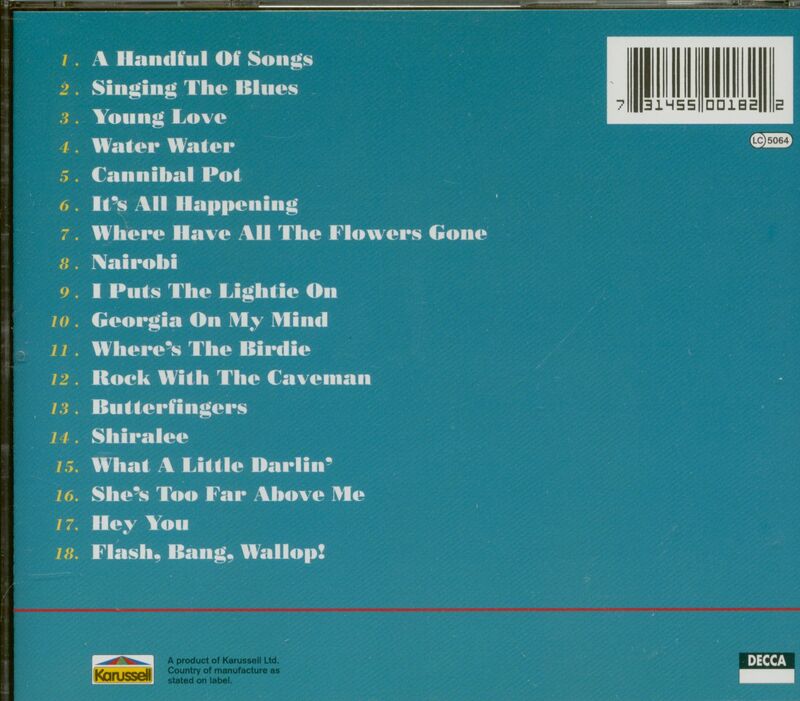 Customer evaluation for "Handful Of Songs (CD)"